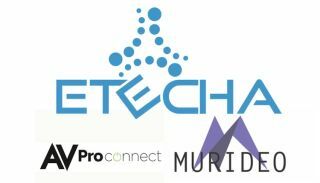 The Emerging Technology Alliance (ETechA) has announced that Murideo and AVProConnect have joined its team of companies dedicated to growing the AV integration industry and increasing the success of integrators in every market segment. ETechA offers members distinct benefits of collaboration and efficiency such as holistic product development; system and project design; marketing collateral and trade show participation; increased product visibility and cross-functional promotion with other manufacturers’ equipment and systems; and cross-member distribution opportunities. Offering collaboration between key links in the AV integration chain, ETechA is dedicated to advancing technology, ensuring cross-compatible audiovisual hardware and software, and improving the efficiency and profitability of low-voltage integrators and resellers. “By adding Murideo’s line of advanced tools to support the accurate and efficient implementation of AV integration projects, as well as the unique, out-of-the-box solutions that AVProConnect supplies to the home and commercial AV market, ETechA has expanded its reach and ability to create value for integrators across the entire industry,” said Gary Vlaeminck, managing director of ETechA and founder of Hexacon AV. ETechA’s other members represent important hardware and service segments of integrated systems: Hexacon AV, an international business development consultancy; Niveo Professional, makers of advanced AV networking equipment; TechLogix Networx for audiovisual signal distribution electronics; and Cleerline Technology Group, which manufactures fiber optic connectivity products to connect all these components into future-proof projects. The addition of Murideo and AVProConnect to the ETechA roster complements the existing alliance members and extends these benefits to testing/measurement and more video elements of world-class AV integration projects.